A stunning wedding proposal this was. Happening on the Pincian hill in around sunset. 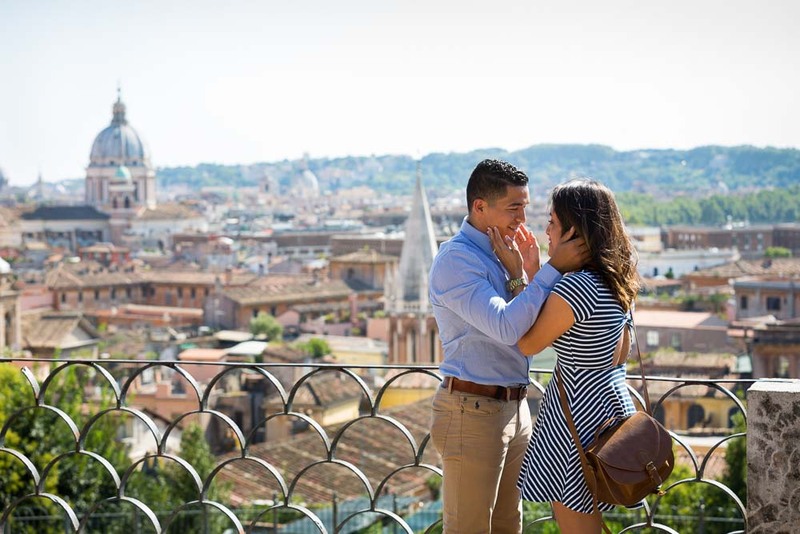 The conditions were perfect as we arrived and soon after the big question was being asked in front of a stunning view of the roman rooftops. Such a big surprise followed by so much joy and happiness! This great feeling of bliss followed us all through the engagement session which followed by car around the city. After capturing some nice photos around Parco del Pincio we moved over to Piazza di Spagna and continued photographing as we walked over. 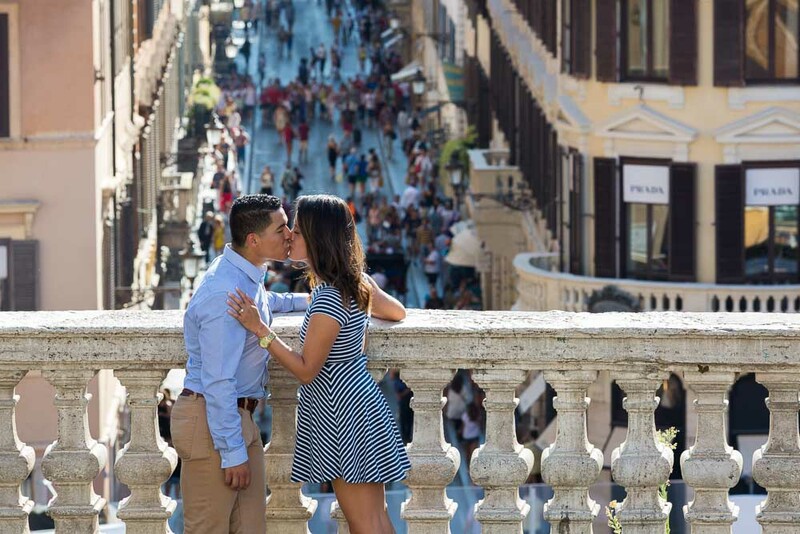 The Spanish steps were so bright and sunny and provided some nice backdrops to our photography session. 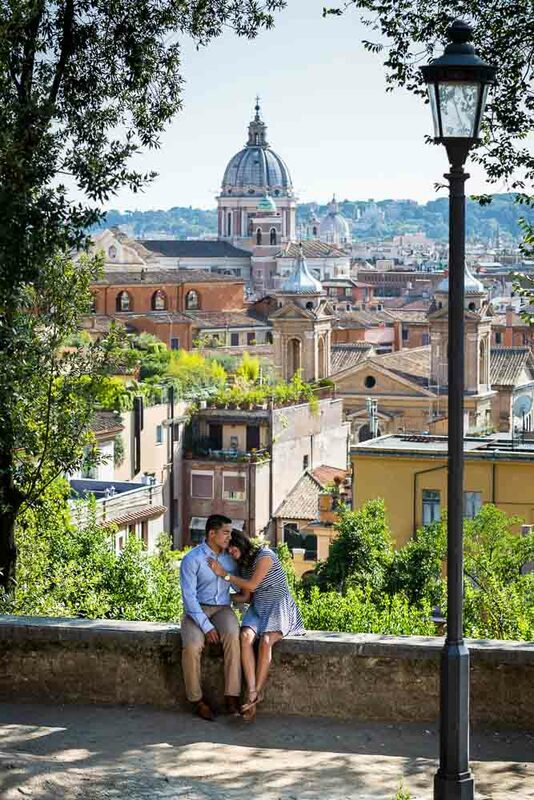 We then hopped in the car and headed to Giardino degli Aranci to continue our photo shoot. First we captured some nice pictures by the water fountain found at the entrance of the park. As we were walking along we also noticed some nice shadows on the wall and used them to compose a nice set of photos. Then the stunning view of the cityscape from the terrace which was left mainly to ourselves. On our way out we drove by the Knights of Malta doorway to capture a quick glimpse of Saint Peter’s dome in the distance. We reserved the last rays of light for the Roman Colosseum. A majestic location which completed this wonderful engagement photo shoot. Ending with a ride to dinner planned at the Taverna dei Quaranta in Rome. But not before capturing the last image of the engagement ring! 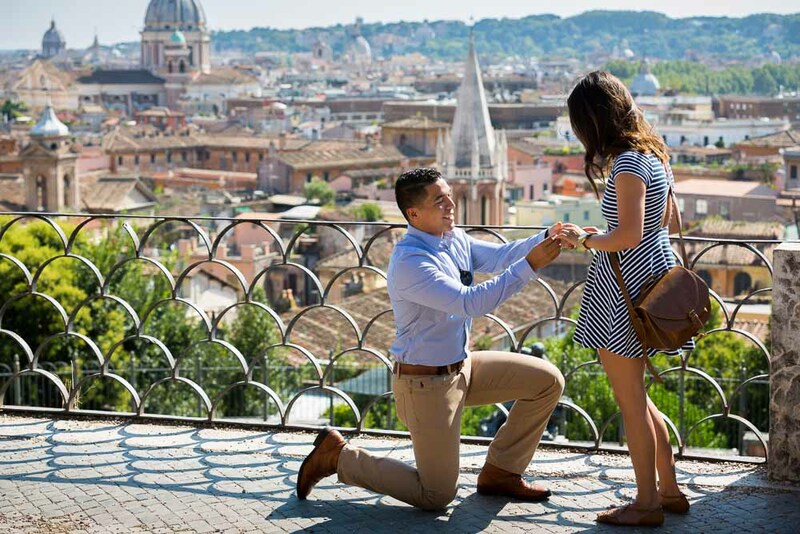 Check out more wedding proposals on the Blog. The big question popped in Rome Italy. On the beautiful Pincian hill overlooking the city skyline. 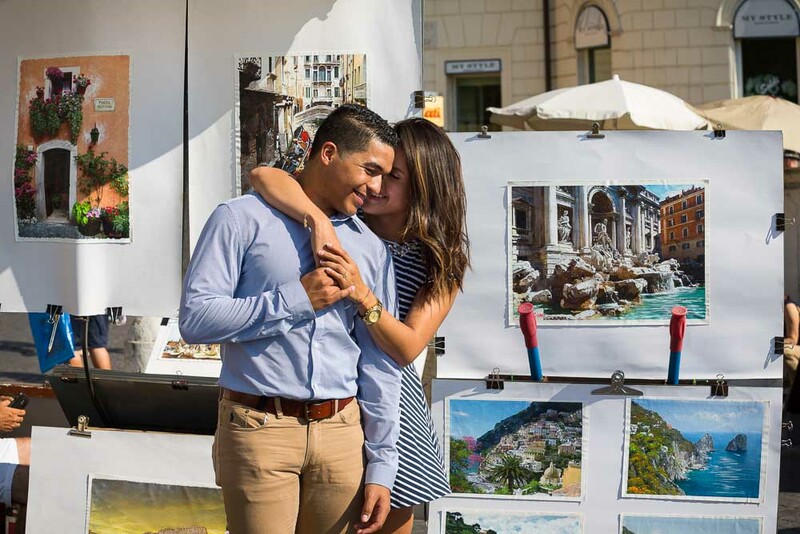 A stunning wedding proposal followed by an elegant engagement session around the surroundings.